Centers an image by moving, cropping and filling spaces inside its parent container. Maintains aspect ratio. Centers an image by moving, cropping and filling spaces inside its parent container. This plugin maintains aspect ratio giving it a very professional looking finish in most situations. 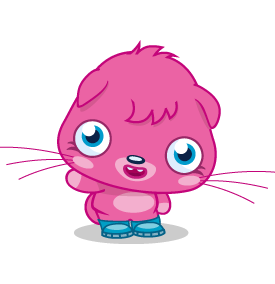 To demonstrate how this works, let's use this cute Moshi Monster which is 275 x 284 pixels. A situation will occassionally arise where you need to show a bunch of these monsters, for example in a list of status updates which have the icon alongside, but to keep the design consistent they all need to fit the same area and your thumbnails might not be the exact size you require for whatever reason. Here is how this would look in a list where each image has a parent container of 200 x 200 pixels. This has cropped and repositioned the image inside the container to provide a more desireable effect. Please note: In most cases it's more efficient to use max-width and max-height CSS properties on the image tag to achieve this effect. However, this plugin will vertically center landscape images when CSS only will not. Any bugs, suggestions or improvements please report them on Github. © Copyright Boxlight Media Ltd 2012. Theme by mattgraham.